Earn up to 1,784 reward points. This familiar looking retro-styled foot pedal has an all-metal casing with a non-slip foot pad. 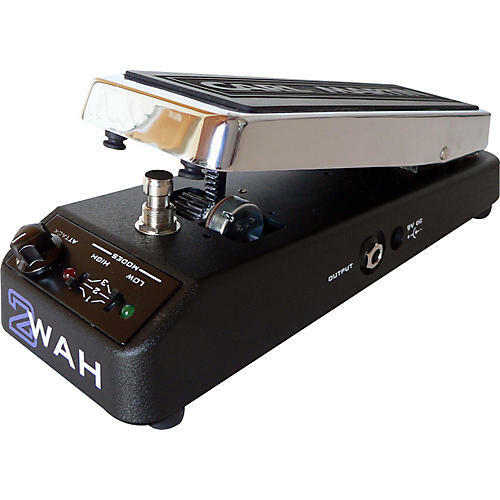 The 2Wah pedal can be powered by 9v battery, but Carl Martin always recommends using a regulated power supply (like the Carl Martin Big John Power Supply) for maximum headroom and effect. Input is on the right and output on the left (remember your Wah should be the first pedal in your chain), and the standard effect on-off by stepping on the front of the rocker to engage the true bypass on-off switch. The function of a wah pedal is to manually (by way of a rocker control) modulate your guitar's signal. Plug your guitar into the wah (input right) and then to other pedals, or your amp (output left). By stepping on the front of the rocker, you engage the on-off switch, and by stepping on the back of the rocker you engage the Mode switch. Select position 1, 2, or 3 in both High and Low Modes, engage the effect and fine-tune the attack of this effect by adjusting the Attack knob (also on the front of the 2 Wah). The green (Low) and red (High) LED's indicate which Mode you are in, with Low being typically for lead work, and High being used more often for rhythm work.